Popular florist Downtown Blooms is moving to an expanded location this February. The new location, which is 2,840 sq. ft., is located at 2309 Mechanic Street on the first floor of the historic 1858 Berlocher Building and owned by Mitchell Historic Properties. Downtown Blooms, owned by Lee Sontag and Bradley Cardenas, originally opened in March 2011 in a small space at 217 23rd Street and prior to that handled orders from home. This flower market and design studio is is a popular choice for brides and known for its unique style and design. Downtown Blooms is also known for its unique gift items such as Kringle Candles, a selection of its single bloom vases, daily flower specials and wreaths. They are a member of BBrooks Fine Flowers, FTD and Teleflora. Downtown Blooms is currently open Monday through Friday from 10 a.m. to 5 p.m. and Saturday from 10 a.m. to 1 p.m. The owners plan to extend their hours following the move to the new location. 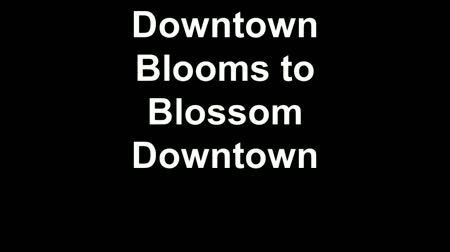 For more information, visit www.downtownblooms.com or call (409) 974-4294. Mitchell Historic Properties (MHP) oversees Galveston properties owned by developer, philanthropist and preservationist George Mitchell and the Mitchell family, including its commercial and residential properties located downtown as well as three hotels – Hotel Galvez & Spa, The Tremont House and Harbor House Hotel and Marina. 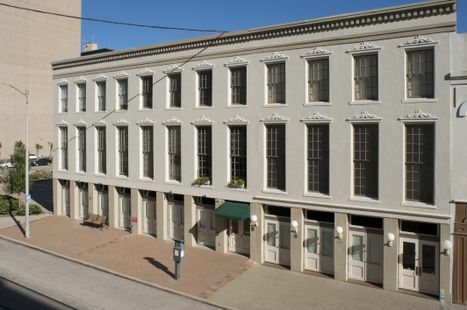 MHP owns and preserves approximately one-fourth of the buildings in The Historic Strand Seaport Area. For leasing information, visit www.MitchellHistoricProperties.com or call (409) 763-5806. Berlocher II and I are located on 23rd and Mechanic. The buildings offers retail space on the first floor as well as retail/pub space.